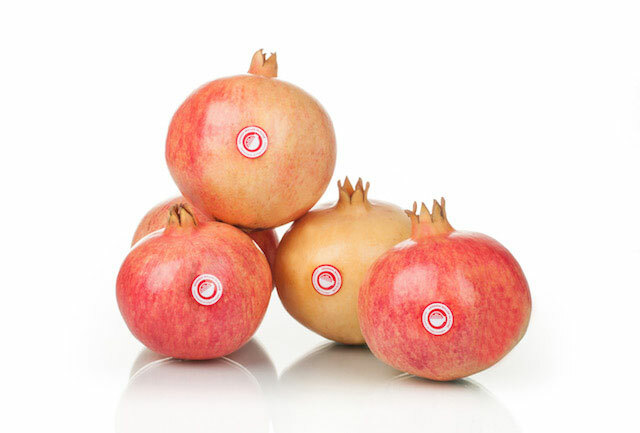 The Mollar Pomegranate from Elche has characteristics and qualities that differentiate it from the rest of pomegranates. Noted for its particular sweetness, it has a colour that can range from cream to deep red and its nugget is soft. 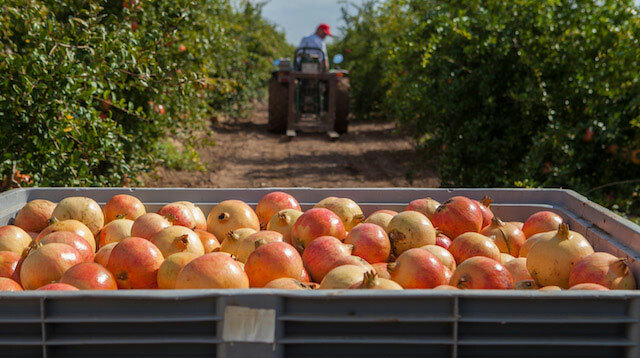 The quality of this variety is guaranteed by the Protected Designation of Origin of Elche’s Pomegranate which covers 40 municipalities in the south of Alicante (Baix Vinalopó, L’Alacantí and Vega Baja). 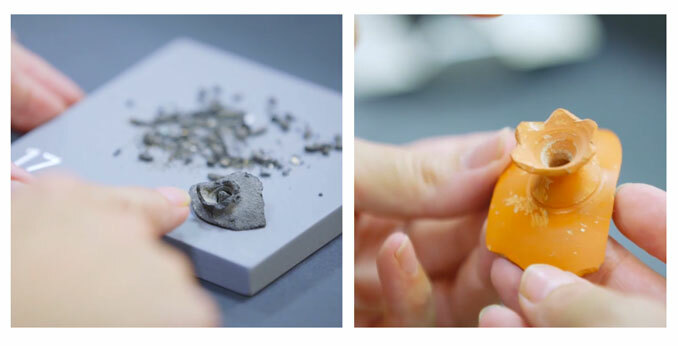 These lands are ideal for growing the Mollar Pomegranate from Elche as there is a favourable climate and fertile soils, on the Mediterranean, resulting in one of the best and most valued pomegranates in the world. Southern Alicante, on the Mediterranean Sea, is known for its rich agricultural industry, the strength of its business network and its strategic location. The fields of Elche and towns around the Southern province of Alicante are considered as the land of pomegranates in Europe. These areas account for more than 75% of domestic production. Thus, they become major producers in Europe. In the 3,000 hectares devoted to this crop, a production volume that revolves around 50,000 tons is reached. 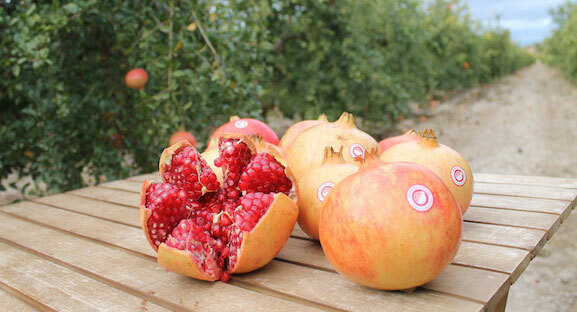 Of these, pomegranates of the mollar variety of Elche first and extra registered with the Regulatory Council will be marketed with the seal of the Protected Designation of Origin. About 30/40% of production, around 20,000 tons, are destined for the domestic market and, of those, 10% are for industry (juice). 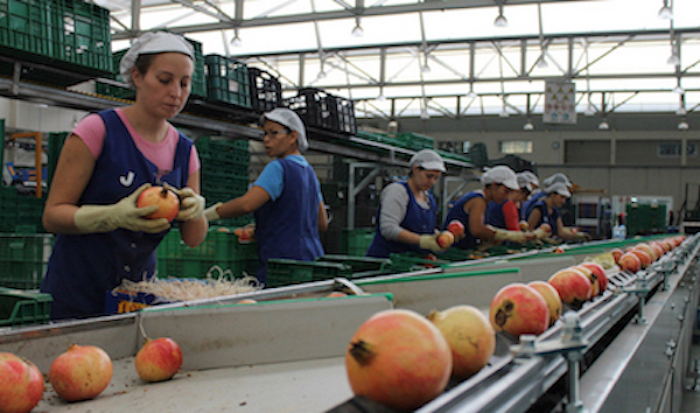 The 60/70% remaining production of the Mollar Pomegranate from Elche is exported. The main markets include Germany, France, UK and the Netherlands. Russia was also an important market until the close of exports to the country. Moreover, the Mollar pomegranate from Elche is also exported to Gulf countries and Southeast Asia. The Mollar Pomegranate from Elche is one of the so-called super fruits as it is one of the varieties that have more content in antioxidants, vitamins and minerals. It is believed that the Carthaginians were the ones who introduced the pomegranate in Mediterranean lands following the Punic wars. Subsequently, it was the Arabs who introduced the pomegranate in Spain. The origins of the pomegranate in Elche are found in a book by Alejandro Ramos Folqués describing how in the excavations of the archaeological site of La Alcudia (place where was found the Dama de Elche) in the Iberian-Punic stratum, they found several charred pomegranates as well as remains of branches and trunks of this tree that served primarily for the network of the roofs of houses. In the middle of the XIX century, the olive grove in Elche began to be replaced by orchards of pomegranates and the first commercial references date from 1864.